Luscious Garage worked on taxis the minute we opened in 2007. 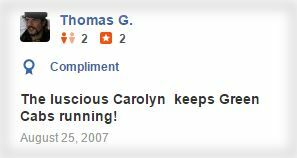 SF Green Cab was one of our first customers; Thomas George-Williams, co-founder of SF Green Cab, actually wrote our first Yelp review. And as the taxi fleet transitioned to hybrids, LG increasingly focused on taxis. In response we piloted a second shift in November of 2010, running overnight. 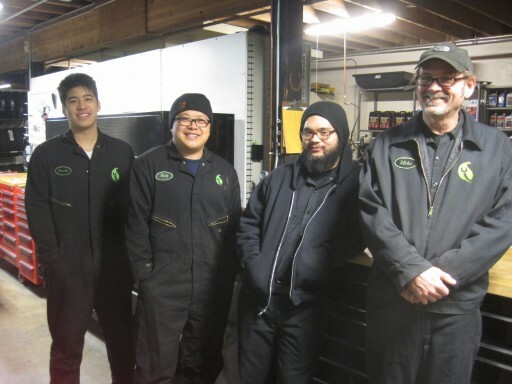 At its peak in 2014, the shop was open 120 hours a week. Current hours are 8am - 8pm M-W, 8am - 6pm Th-F.
Drop in anytime, not just at night. We cherish bona fide SF Taxis; Ubers, Lyfts, and Homobiles also welcome. We now provide the same expertise, equipment, and facility all day, at our downtown location most convenient for commercial service. While our night shift hours have girded with increasing commercial competition, we are committed to supporting our city's public transportation. We keep the parts in stock and maintain the technical expertise to get you back on road ASAP. As an independent service provider, LG caters to taxi owner-operators: individuals whose cars are their business. Despite heightened consciousness for turnaround and price, taxi owners share one important need with private hybrid owners: a mechanical advocate. At its core, bridging the technical divide is LG's work, and our dedication, fluency, and honesty are highly appreciated by our customers regardless of their background. 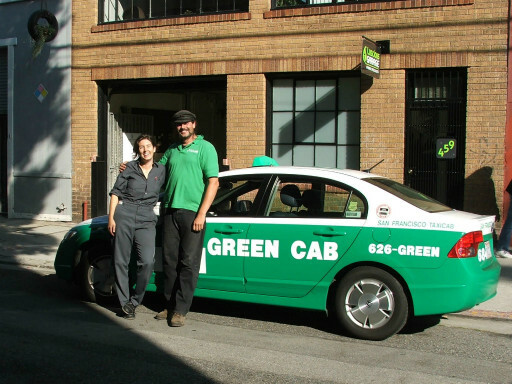 We are also proud to support the city's cab fleet and its effort to lower emissions. The San Francisco taxi community is predominantly hybrid based, due to regulations that incentivize the technology. So-called "alternative fueled vehicles" (read: hybrids and natural gas) command a higher "gate fee": what a company or individual owner-operator may charge a driver for use of the vehicle. Drivers prefer these vehicles, despite having to pay the higher "gate", because the fuel savings is greater than the fee increase. Essentially money that was previously paid to oil companies is now being transferred to taxi cab owners and drivers, with the benefit of decreased carbon emissions overall.